Elon Musk continues to put his own money where his mouth is. The billionaire Tesla CEO dug into his pockets to buy additional shares of his electric car company. For the second time in two months Musk disclosed in an SEC filing that he bought Tesla stock on the open market, spending $24.9 million to buy 72,500 shares on Tuesday and Wednesday. In May, he spent $9.9 million to buy 33,000 shares of Tesla (TSLA). Chief executives rarely buy shares of their own companies' stocks on the open market. Instead, they typically either exercise stock options (for cheap) or receive grants of stock directly from the company (for free). Musk was already by far the company's largest shareholder. He held 33.7 million shares, or about 20% of the company, even before his latest purchase. He'll own even more stock if his plan for Tesla works out. Musk has an unusual pay package: He'll receive options to buy about 20 million additional shares if the company hits certain performance targets. His recent purchases signal Musk's confidence in the company's outlook and his lack of patience with critics -- especially those who have made bets against the future value of its stock. 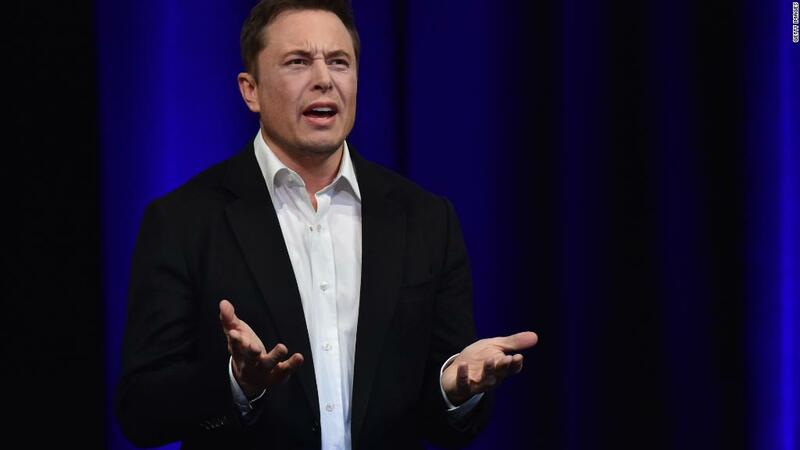 Last month he had contentious and controversial call with investment analysts, whom he thought were undervaluing Tesla. Tesla shares have been volatile in recent months because of questions about its Model 3 production capabilities. Some analysts speculated that ramping up production to meet expectations would cause a cash crunch. But Musk has insisted that the company is doing OK, and it will meet its revised production target of 5,000 Model 3 sedans a week by early July. He said that production level would allow the company to finally become profitable in the second half of this year. His assurances about production levels helped to lift Tesla shares, which are now up about 40% from its recent 12-month low.